Striving to keep their reputation as one of the ‘coolest’ sunset boat parties on the White Isle, Float Your Boat have once again pulled out all the stops with the announcement of yet another HUGE weekly event. With fresh new bookings and another huge summer ahead, Ibiza’s best boat party has now teamed up with none other than Cream Ibiza, who are gearing up for an incredible 21st season on the white Island. Setting sail every Thursday from San Antonio beginning June 11th to coincide with their Opening Party, Cream will celebrate their coming of age with Float Your Boat, featuring the island finest residents Ibiza Sonica’s Clara da Costa, Andy Baxter, Paul Reynolds and one of the original Cream Ibiza residents, Jason Bye. Playing an extra special Cream Terrace classics set, Jason will be taking revelers through 21 years of music for the Cream birthday on July 30th ahead of what’s arguably the season’s biggest event, with the legendary Sasha joining exclusive resident Eric Prydz on the fabled Terrace for a truly spectacular birthday blowout. 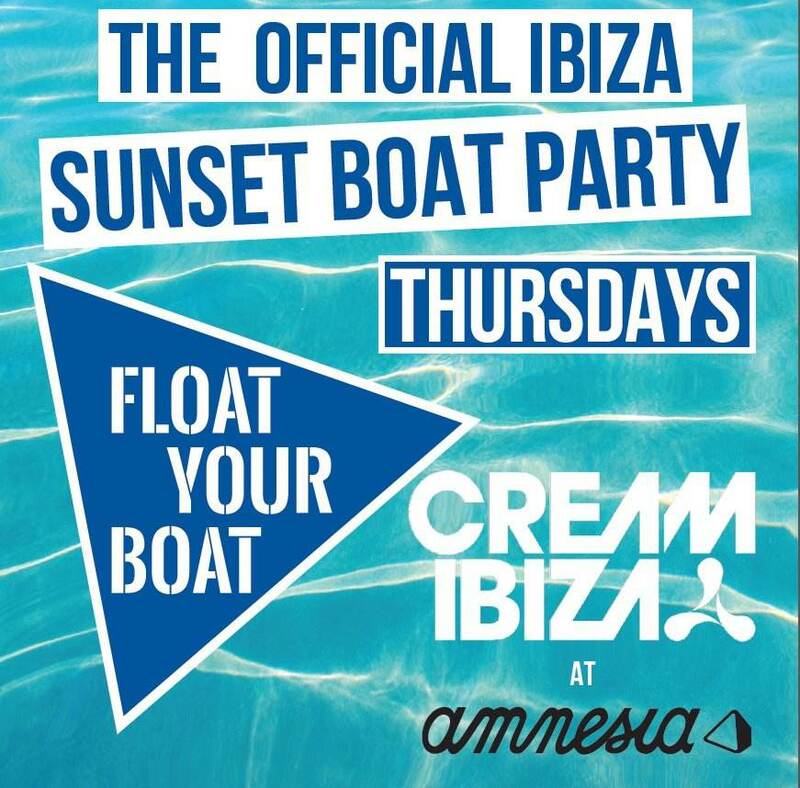 Of course, the best way to make sure you don’t miss this once in a lifetime show is to rock your way through a sunset cruise with Float Your Boat and some of the world’s best DJs, as a ticket includes boat entry, a free drink, transport to the club, and of course entry into Amnesia Ibiza! With Cream’s fresh and forward thinking bookings, expect a diverse range of music from its many incredible headliners coming this summer, cranking out the best in future house, trance, deep house and tech house through Float Your Boat’s very own custom built Pioneer XY Pro-Audio Sound System.